April 11, 2007 - A large donation of school supplies was dropped off at St. Marguerite d'Youville Church anonymously. 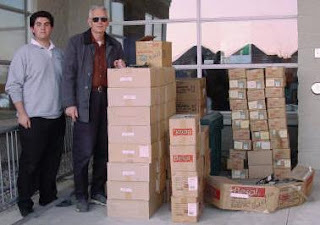 The items have been delivered to Dr. Simone's warehouse in Mississauga (Canadian Food for Children) and were shipped immediately to the Honduras the following day! Thank you to the donor for your generous contribution.